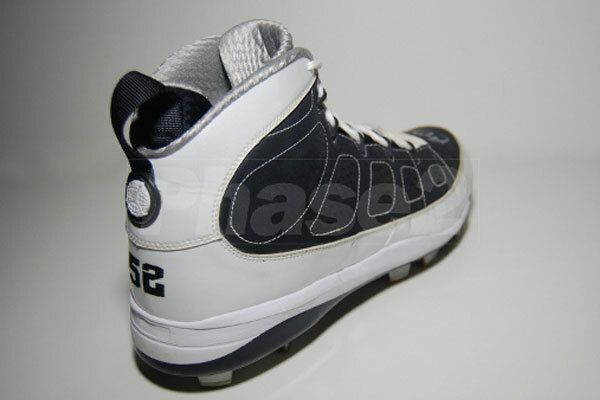 Another Yankees-inspired Sabathia PE surfaces on the web. 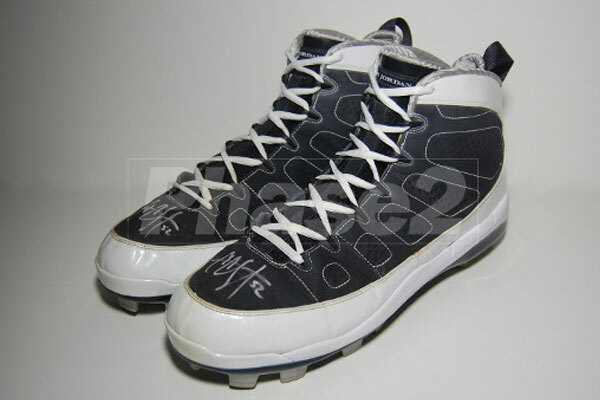 Besides teammate Derek Jeter, CC Sabathia has to be one of the biggest names to represent the Jordan Brand on the baseball diamond. 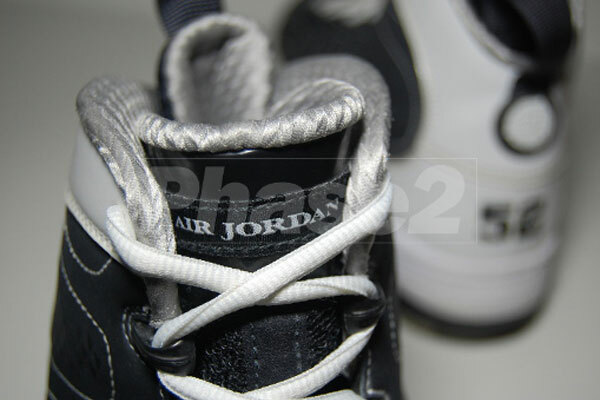 Whether it's the Air Jordan XI or the Air Jordan IX, CC will alway take the mound in something rare and coveted, like this player exclusive edition of the IX seen here today. Created exclusively for CC, they feature a predominantly navy blue base to match the New York Yankees' home uniforms. 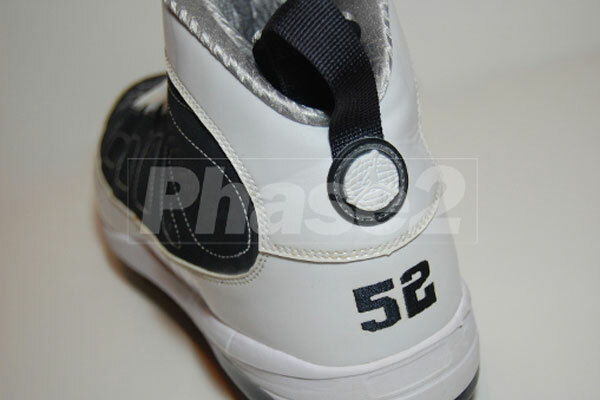 the insipiration continues with the white patent leather mudguard and laces, along with Sabathia's jersey number 52 gracing the heel. Enjoy a look at yet another CC Sabathia player exclusive below, thanks to Phase2.